Waterford Centre for Independent Living (CIL) is a grassroots organisation whose main aim is to empower and enable people with disabilities to achieve independent living, choice and control over their own lives, and full participation as equal citizens in society. For too long now, people with disabilities have been living on the margins of society, dependent on family, friends and voluntary organisations. 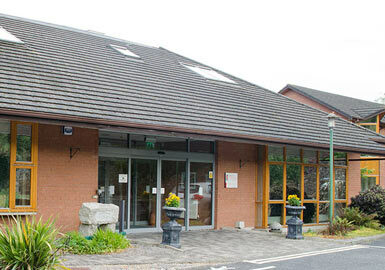 Waterford CIL aims to change this. We are run by people with disabilities, for people with disabilities. There are very few organisations who can claim this. We understand the real issues facing people with disabilities, because we face them too, and together we can help each other. Our personal assistants arrive at people’s homes at an appointed time to perform a set of agreed tasks. 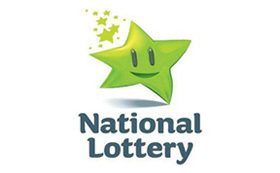 This may include assistance with getting out of bed or having a shower, making the dinner or going to the shops. 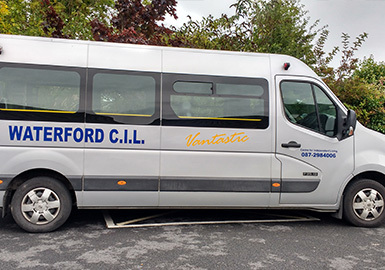 Waterford CIL operates a wheelchair accessible door to door transport service called Vantastic. Anyone with a disability can join our Transport Club for a small fee. There are two mini buses in Waterford and one in Dungarvan.